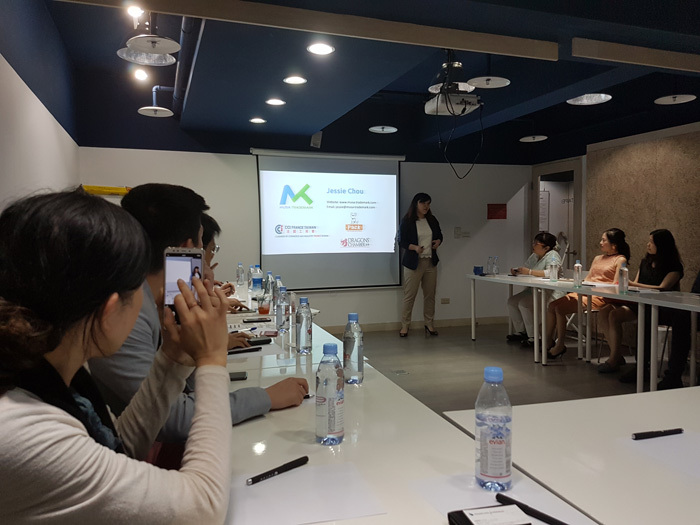 CCIFT (Chamber of Commerce France Taiwan) invited MUSA Trademark to hold a workshop on trademarks and trademark protection. The event was held last May 10, 2018. The room quickly filled up and there were even a few people standing in the walkway so it is clear that people feel the need for more information about trademarks. 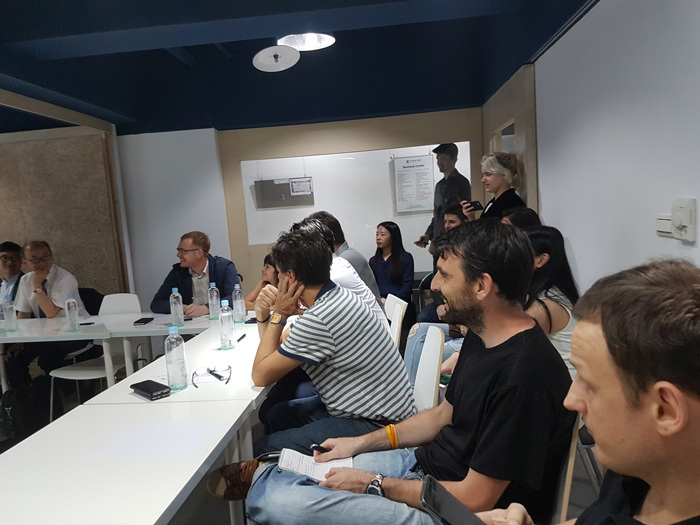 We would like to say thank you to CCIFT for organizing everything and the attendees from organizations such as Eiger Law, Ensprye, French Office in Taipei, Gandi, Graceful Lifestyle Management, KKIMT, Taiwan EZ Permit Centre, and Mr.Brian McCoskey for the great interaction . We are grateful to having started to work with several of the attendees since the workshop. 1. How to decide which trademark class I should register? You should have a clear plan for the future and choose your trademark classes correspondingly. For example, if currently you are selling bread and desserts, trademark class 30 is your priority. If you think you in the future want to extend to do catering service, apply for class 43 as well. And of course, you can consider asking for professional help, an experienced perspective is very beneficial for your business in the long term. For example, in our experiences, trademark class 35 (Advertising and Business Services) is applicable to a lot of companies but is often overlooked and cause a lot of trouble later. Need help in which classification you can register your trademark? Download our free classification list. 2. When to apply for trademark protection? After I start my business? Actually, that might already be too late. We always suggest our client to settle on their trademark plan before they launch their business, because there are just too many risks with not doing so. The risks are if you start your business without checking your brand name or logo first and then find out you are using someone else trademark, this means rebranding every penny you spend on the promotion, marketing, or printing anything with the trademark on it is wasted. Or if you are using an unregistrable logo, then find out someone is using the same, there is nothing you can do to stop it; in short, your logo is for everyone to use. You can avoid these situations just by setting up your trademark plan well before you start your business. How to select a Trademark for your business? 3. How long will it take for me to get the result of my application? For a Taiwanese application, it will take around 6-8 month for the TIPO to release their decision. A Chinese application over a year. This will point to another problem, sometimes, when doing business in China, you will be asked to provide a trademark certificate when signing up for ecommerce platforms or starting cooperating with some company. It will be an issue for you if don’t have one yet. 4. If I have registered my trademark in Europe should I register in Taiwan too? Yes, if want to sell or even manufacture in Taiwan you should protect your trademark in Taiwan. 5. Is it hard for a startup to win in China if their trademark had been squatted upon? Unfortunately, yes. Because when your trademark has been squatted upon, the main element for you to retrieve your trademark is providing evidence of usage, for a new company like startups, usually, there would not be as much evidence. Literally, those squatter just sit on trademarks and wait for the owner to knock on their door and they are not just targeting for the big and rich companies, startups are on their list too. It will take time (usually years ) and a lot of your energy to deal with this and will cost much more than just to apply for a trademark registration at the very beginning. These were some of the questions we received during our CCIFT presentation. What questions do you have about trademarks? Send them our way.